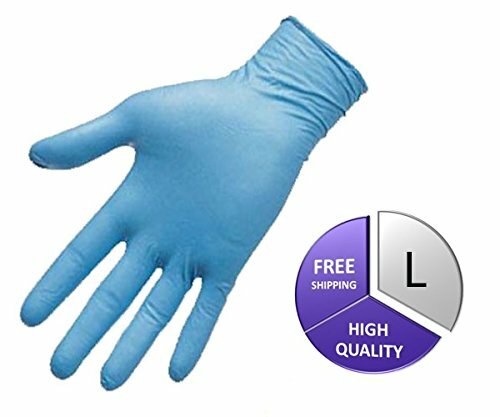 Medical Grade Blue Nitrile Disposable Gloves popularly used in industries as well as for general purpose. It is made up of Nitrile material. The provisions of the Federal Food, Drug, and Cosmetic Act. They are Powder Free, Latex-Free and Silicone Free products. Protects users from: Skin Infections, Ailments and Rashes. Features: Medical Exam Gloves, Non-Latex, Disposable, Powder free, Non-allergenic. Nitrile Disposable Gloves are economical and can be used for variety of applications. Allow repeated use in direct contact with food. View More In Apparel, Gloves & Personal Protective Gear. If you have any questions about this product by PackagingSuppliesByMail, contact us by completing and submitting the form below. If you are looking for a specif part number, please include it with your message.